So today I take a pass. I will share a photo, taken today, but not by me, because I have done nothing but lay here and try to breathe all day. The head cold I had yesterday is now in my chest and when that happens my stupid crappy asthma flares up and today has pretty much been one continuous asthma attack. I've used my inhaler, I've done breathing treatments with my nebulizer and nothing is helping. Ugh. Today has not been one of my better days. So nothing particularly happy has happened today. Well, I take that back, Shawn brought me more soup for lunch, which made me happy. But I already used up that happy for my project. Mostly my whole day has just been spent sitting here trying to breathe. So I will share a picture that Shawn took this morning. And now that I think about it, the picture made me happy, so maybe it counts after all. This morning was the preschool zoo field trip. They do it every year and it's usually a tradition that Shawn comes with us, so he got the morning off work to go, and then I was too sick to go so he and Clarissa went without me. He took pictures though, so I kind of got to pretend like I was there. :) That made me happy. Really, if every day of this project could just be a picture of the nice things Shawn does for me, I could fill up 100 days with no problem. He does something to make me happy every day. 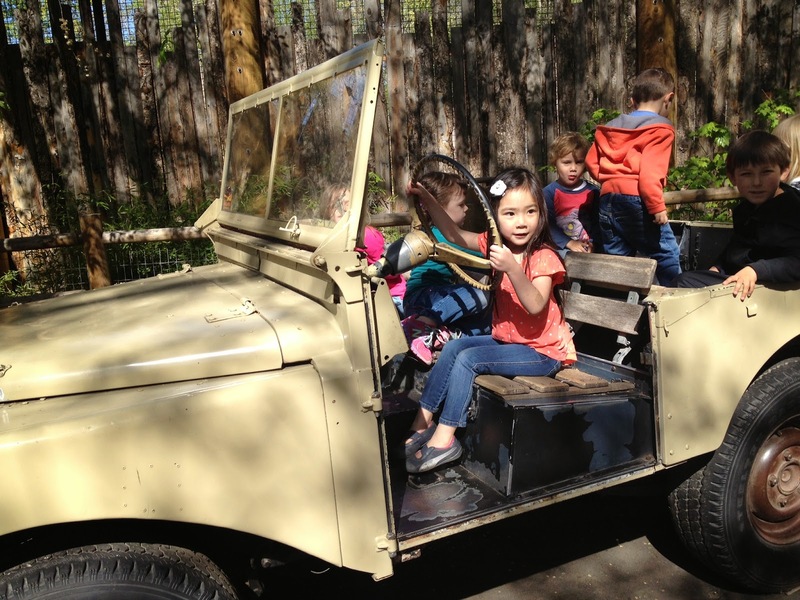 So here is a picture of Clarissa with her preschool class at the zoo. It looks like they had fun and that makes me happy. And now I shall continue to sit here and attempt to breathe. Ugh.